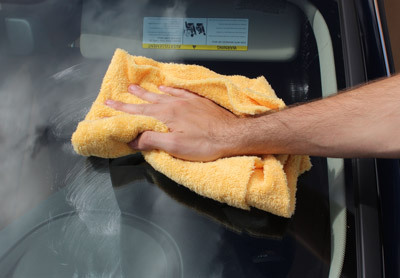 I can never get my windshield perfectly cleaned – I hear that all the time at car shows, and the recurring issue that I see is water spots, road film, and industrial fallout. When I say “see,” I mean literally – the windshields on most of these vehicles are in terrible shape. Glass cleaners are designed to remove topical stains, like finger prints, not the tough stuff like water spots and road film. Twice a year you need to cleanse your glass of the aforementioned contaminants using a specially designed glass polish, like Wolfgang Perfekt Vision Glass Polish. Wolfgang Perfekt Vision Glass Polish is one of my personal favorite products, because it solves an issue almost everyone with a daily driver faces – water spots and oily road film on exterior glass, namely the windshield. 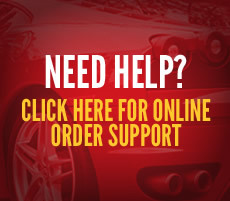 This product simply works, and it works very well at that. I’m confident you’ll love it. Like I mentioned earlier, glass cleaners that you spray onto the surface are not designed to remove oily road film, water spots, industrial fallout, and mineral deposits. For this application you need a glass polish. Wolfgang Perfekt Vision Glass Polish is a citrus-based chemical cleaner infused with a blend of glass-safe abrasives designed to gently remove water spots, road film, and other common contaminants that are often found on the windshield of a daily driver. The specially-milled abrasives remove the offending contaminants without scratching glass. Apply by hand with a terrycloth applicator or by machine with a soft foam polishing pad. Wolfgang Perfekt Vision Glass Polish also works wonders at removing tree sap and stubborn bug splatter from glass. It works at a microscopic level to gently break up and remove contaminants from the pits, pores and valleys in the glass. Trust me when I say that your glass has never been cleaner! Frequent glass care is easy glass care, so it’s good practice to regularly clean your glass using Wolfgang Perfekt Vision Glass Cleaner. This alcohol and ammonia free glass cleaner is 100% tint safe. What’s more, it contains a built-in water repellent that causes water to bead up and be whisked off the glass at speeds in excess of 30 mph, improving safety by increasing visibility in wet-weather conditions. 1. Ensure surface is clean and cool to the touch. 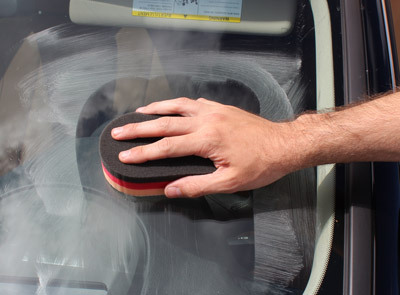 Apply a quarter-sized amount of polish onto a Wolfgang German Polish N Wax Applicator. Use a foam polishing pad if you plan on applying it by machine. Working on an area no larger than 12 x 12 inches, rub vigorously until the water spots have been removed. Apply more polish as needed. Remove residue and inspect your results. If the water spots remain, repeat step 3. Cobra Waffle Weave Microfiber Glass Towel New & Improved!